There's one word that springs to mind when you visit Travemunde -- delightful. This pretty little German beach resort is set between the Baltic Sea and fragrant pine forests and is bordered by shimmering blonde (and gloriously empty) beaches. It was the 19th century's version of St. Tropez, a place where the beautiful people of the Belle Epoque -- including the writers Thomas Mann and Dostoevsky -- came to enjoy a restorative whiff of sea air and play the tables at the stylish casino. Travemunde is perhaps best known to cruise passengers simply as the gateway to medieval Lubeck, only 18 km and a 25-minute drive away. The great Hanseatic League city and UNESCO World Heritage Site of Lubeck is, indeed, close by and tremendously inviting if you love medieval architecture. Its Old Town is home to more than 1,800 listed buildings and a lovely riverfront. But Travemunde is actually well worth getting to know in its own right, as it's a lovely spot for a lazy day at the beach, a little gentle shopping and an excellent lunch. 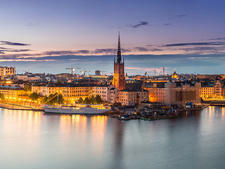 The cruise ships that call there, mainly small to medium-sized vessels, visit during the summer months as part of Baltic and Northern Europe itineraries. If simple relaxation is high on your agenda, this charming town with its lovely and stylish seafront shops, elegant hotels and quaint fishermen's cottages could well suffice as the perfect setting for a stroll and a swim. Travemunde's small cruise terminal is well located for getting to the heart of the action. It's near the bus station (where you can pick up transport to Lubeck) and within walking distance of the main town and the beach. The small but smart passenger terminal at the cruise berth is equipped with a cafe and phone booths. 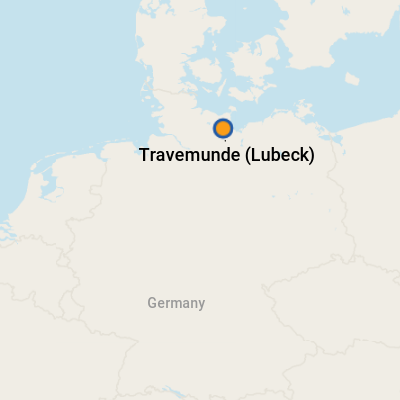 When ships are in, a helpful local volunteer hands out maps of both Travemunde and Lubeck and offers advice on what to do and how to get about. On your right as you exit the terminal is a pavement cafe, selling light salads and splendid ice creams -- a good place to stop off for a refresher en route back to your ship after a stroll ashore. Go straight ahead, and you'll get into town; head left, and you'll find the bus station for Lubeck. Also to the left are shops, an attractive promenade and some lovely white-sand beaches. Enthusiastic locals will line the promenade to wave off your ship as it sails. It's a very friendly place! If you're happy to spend a day in Travemunde, you'll find it's easily explored on foot. Head left from the passenger terminal, and you'll find an attractive main street that's lined with some unusual china, clothes and knick-knack shops. Keep going, and you'll stumble across the bus station, where 2.50 euros will buy you a return ticket to Lubeck (bus number 30). It's about a 25-minute ride, but allow up to 45 minutes, as traffic conditions can vary and slow down the journey. If you prefer to travel the classy way, taxis at the terminal will take you one-way to Lubeck for between 30 and 40 euros. You will need to negotiate the price, but the higher fare is for a multipassenger mini-bus, so it's actually a better value than it sounds. The currency is the Euro; see www.oanda.com or www.xe.com for the latest conversion rates. There's an ATM at the Commerzbank, just opposite the passenger terminal. The official language is German. Travemunde is a traditional German town, and while most of its (very friendly) inhabitants have a reasonable grasp on English, a few German phrases will be a big help in meeting them halfway. Consider stashing a travel phrasebook in your day pack. Like many parts of the world, Germany's Schleswig-Holstein region is quickly adapting to the influence of international cuisine. However, if you like to try food traditional to the area you're visiting, you'll find that Hanseatic League cities like Lubeck offer some delicious specialities, like Hamburger Aalsuppe (so called because it contains alles -- everything!). Recipes vary, but expect a base of ham or chicken broth, dried fruits, various vegetables and a host of herbs that include parsley, thyme, marjoram, sage, chervil, mint, dill, sorrel and basil. Some recipes add dumplings, while a fishy version may contain monkfish. Prefer something simpler? Try herrings, a popular dish around these parts, particularly when salted, marinated and then fried as Bratheringe. And, to finish, try Rote Grutze, a delicious blend of red berries with sago pudding, sometimes made using Sauerkirschen (sour cherries). Or Plettenpudding -- a trifle made from macaroons, raspberries, sponge cake and custard -- which was immortalized in Thomas Mann's novel Buddenbrooks. Remember that, when in Travemunde, you're at the seaside -- so fish and seafood should be excellent. And, if you've got a sweet tooth, bear in mind that Lubeck is world famous for its marzipan. For a casual lunch with a river view, simply head left when facing the Holsten Gate, and you'll find plenty of cafes and restaurants set right on the River Trave, which circles Lubeck's old town almost like a moat. These serve everything from local pork-and-sauerkraut speciality dishes to pizza and sandwiches. There are plenty of choices, so just pick a sunny spot and enjoy. If you do head into Lubeck, pick up some marzipan. The city claims to have invented the aromatic delicacy in the 15th century (though some argue that the ancient Persians got in first). Staying in Travemunde? The craft shops that line the street down to the beach are well stocked with pretty seaside memorabilia (wooden lighthouses, comical statuettes of bathing belles and fishermen, etc. ), which make lovely souvenirs or gifts for the folks back home. 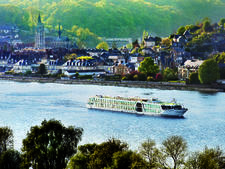 As river cruising continues to boom, more and more lines compete for attention on the European waterways. While many American travelers have heard of companies such as Viking, Grand Circle, Tauck, AmaWaterways, Crystal and Avalon -- to mention just a few -- there are also some European companies out there that Americans probably don't know that may deserve consideration. Here's a look at who they are and what they offer. 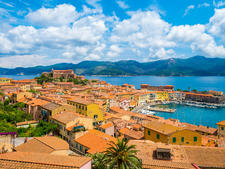 If you're going to survive the summer weather on a Mediterranean cruise, you'll need more than a Zen-like approach to the heat. Here are our hard-won tips for taking a safe and enjoyable trip to the Mediterranean in the heat of summer. Once you get hooked on snorkeling and scuba diving on cruises, you begin to study itineraries with a view to finding the best spots to indulge your underwater passion. While the Caribbean is filled with opportunity, and an obvious first choice for enthusiasts of all levels of expertise, the rest of world truly can be your oyster if you pick the right ports. In areas where snorkeling and diving are popular pastimes, ships' excursions are usually offered, making your adventures easy to arrange. At other destinations, you might be on your own when it comes to booking a dive trip or finding a suitable snorkeling spot. This is especially true in areas with so many things to do that watersports rank low on the priority list of most passengers, as is often the case in European and Asian ports of call. There are a few cruise destinations with snorkeling and diving that may surprise you. Read on for a guide to finding the best spots around the world to get under the waves.